As a woman I have breasts. As a white, western, woman I have about a 1 in 8 chance of getting breast cancer. 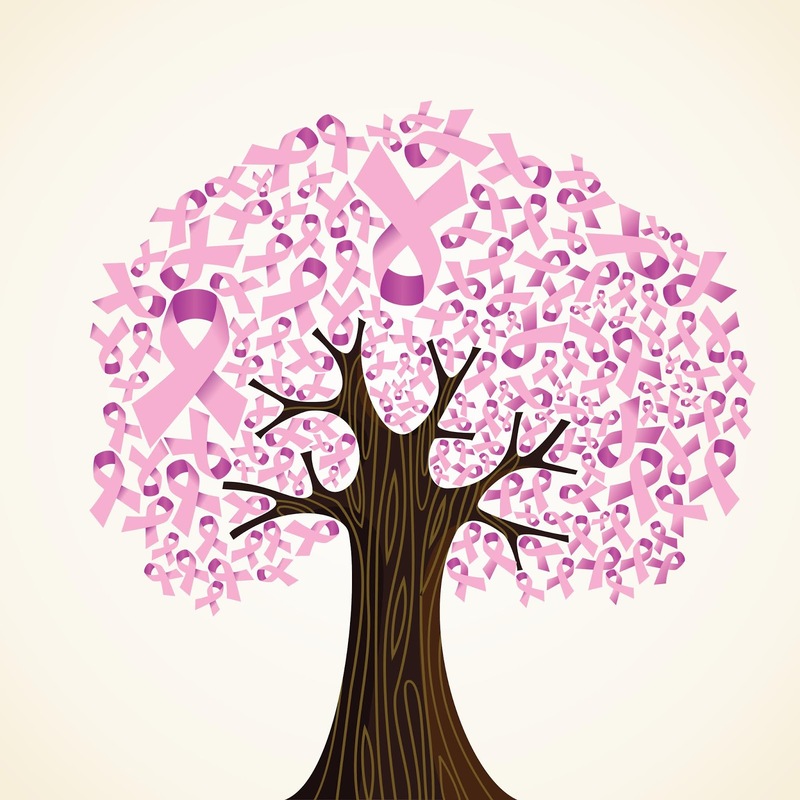 If I get breast cancer, I really don’t want chemotherapy, if I can avoid it. Not unless it will make a significant difference to my outcome. Until recently, knowing if this was the case, was difficult. Adjuvant chemotherapy is chemotherapy which is given after a potentially curative procedure (in the case of breast cancer this is surgery) to mop up any remaining cancer cells in the body that we can’t see. It’s a tricky business. We’ve always known that most women probably don’t need chemotherapy, the problem was we don’t know which ones. So, everyone was recommended a course of adjuvant chemotherapy, with all its side effects, to benefit those who needed it. The availability of the Oncotype DX breast cancer assay, a 21-gene expression assay that can predict which patients are most likely to derive a large benefit from chemotherapy is changing the hit and miss approach to selecting which patients benefit from receiving chemotherapy. The test is performed on a tumour biopsy sample. Women with a low recurrence score (0–10) typically only require hormone therapy alone and those with a high recurrence score (26–100) require hormone therapy and chemotherapy. However, around 60-70% of women fall into the midrange recurrence score of 11-25, and until recently it was not known if there was a benefit to chemotherapy in this group. 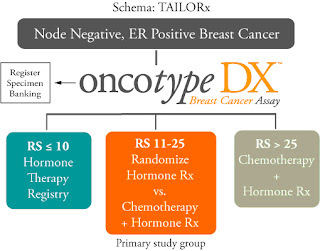 All women 50 years or younger with hormone receptor–positive, HER2-negative, node-negative breast cancer and a recurrence score of 0 to 15 (about 40% of women with breast cancer in this age group). Note those with recurrence scores between 16-25 did get a benefit from chemotherapy. 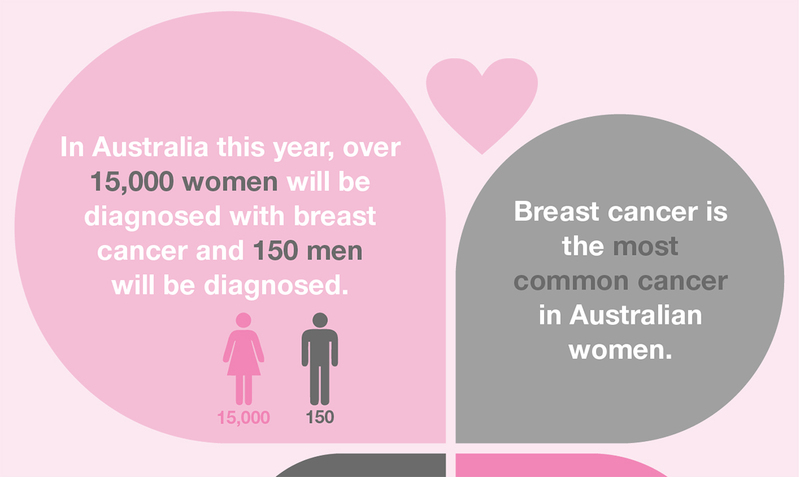 The Oncotype DX breast cancer assay is currently not funded by Medicare; however, it is made available in Australia by international biopharmaceutical company Specialised Therapeutics Australia at a cost of approximately $4,500. In a world where “Go Fund Me” pages for often futile treatments is common, it will be interesting to see if people are willing to help raise money to potentially save a woman from having treatment. 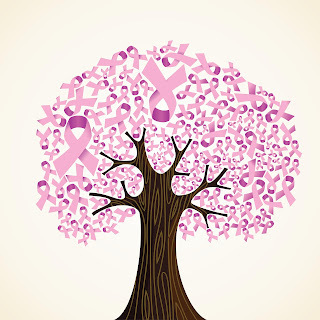 As for me, if I find myself in this situation, with hormone receptor–positive, HER2-negative, node-negative breast cancer, I will be without a shadow of doubt be asking for the Oncotype DX breast cancer assay. And, if I need help, I hope my friends and family will donate through the “Go Fund Me” page I’ll set up to make getting the assay done possible.